Today was a ★★★★ day. It was rainy and gray, so I had to deduct a star for mood lighting. But aside from that, yes, I'm all in. You may or may not recall that 7 weeks ago, I went in for my routine (ha!) PET scan (positron emission tomography AKA when they inject you with radioactive glucose, then donut scan you to see what glows, meaning it's metabolizing said glucose - sort of like a black light for cancer cells). The results were good, but odd. No signs of lymphoma (insert gigundo sigh of relief), and the inflammation I had previously harbored in my left lung was resolved. 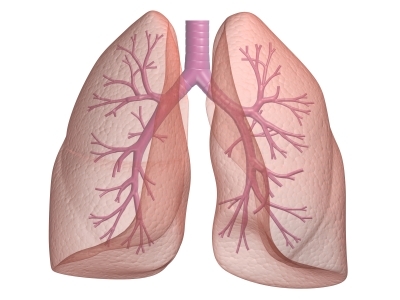 However, there was some new "bronchial thickening" detected in the right lung. Instead of a spot (which is what inflammation/pneumonitis looks like), this thickening appears as a line, like a clogged bronchiole (see exhibit a). I consulted my pulmonologist (specialist #9 on the team), Dr. L, who could not, simply by looking at the scan, know what the line was. His plan was to put me on an antibiotic for a week, then to x-ray my chest 4 weeks later to see if the thickening could be detected. If the bronchiole was still visible, we would probably proceed to a bronchoscopy. Not terrible, but nerve wracking and gives you a sore throat from the tube. Blech. Fortunately, today's chest x-ray was normal. No, like seriously, absolutely NORMAL. Go back and read that again. NOR. MAL. Dr. L used this word, "normal" whereupon he described the image on his computer screen. There was no trace of any beastly grapefruit or its remnants, at all whatsoever. He said it so nonchalantly, too, as if, duh, it's fine. I went on to explain what it looked like on the screen the first time I had a chest x-ray, a big old beach ball gettin all up in my breathing parts. Big difference. I think he enjoyed the moment after that. Wow. What an amazing effing feeling. I took a picture of the computer screen just so I could gaze at it whenever I felt like it. Is it wrong that I kind of have a crush on my mediastinum right now? I could almost doodle our names together while I'm talking on the phone to it. I even posted it on Facebook, just like all those excited pregos who post their ultrasound pictures (sorry girls), cause quite frankly, what you're lookin at here is a miracle, too. To add to the stars of the day, my mom and I frequented the highly touted and much revered Federal Donuts for our in-between-x-ray-and-dr.-appointment lunch. We scored both hot donuts AND seats at the counter, where we dined like Philadelphia royalty on crispy coconut curry (korean style) fried chicken. Probably not the lunch of champions (or Kris Carr, for that matter), but definitely worth beating cancer for. It was a well-rounded meal, though, complete with protein, carbs (a honey donut) and a green veggie (tiny japanese pickles). Delish. In other news, last night I became CPR certified! And discovered that I know way more about medical jargon than I did 2 years ago. Proudly, I was the only member of the class who knew the difference between a heart attack and sudden cardiac arrest. Woo Hoo! Yeah. And I know how to attach an AED if someone has a port or a pacemaker (front and back, just like on a baby - take that!). There's a strange intuitive feeling I have that there's a reason I am required to take CPR for my new job (will get to that soon enough, hopefully it will stick). Fate-ish, if you will. Since having the living daylights scared outta me last night with regards to children choking on edible objects, I have instated a new house rule. No children are to be eating anything remotely food-like (or otherwise) unless they are in the sightline of an adult. Don't mean to frighten you, but did you know that for every minute a child loses oxygen to the brain they lose 10% of their brain function?? Now I can add fear of choking to my list of worst case scenarios. I decided I think that everyone should be required to take a cpr class along with being required to have an infant car seat to take the baby home from the hospital in. And also a parenting class along with the birthing class. There are a lot of classes that need to be taken by a lot of people (still referring to the new job) who become parents. Wowee, so many haven't a clue. No judgements being made (today), I am here to help. Hoping I am never given the chance to test out my cpr skills. But I think I'm ready if the need should arise. Call 9-1-1! Get an AED! Begin compressions. The only question is, if I'm the one that goes down, who else knows what to do?